God has richly blessed us, and we are happy to share some of our blessings on this website! The first, and most striking thing you will notice about Tunis sheep is the beautiful red color set on an attractive sheep with long pendulous ears and a calm disposition. Within this medium-sized package is found a very productive sheep. Tunis are very feed efficient, requiring less feed than larger breeds to produce marketable lambs at the same weights within similar timeframes. The ewes are excellent mothers who have a high rate of twinning, are heavy milkers, are productive for much of their long lives, and are easily handled with very docile temperaments. 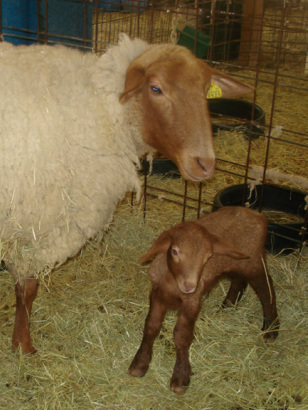 The Tunis lambs are vigorous at birth and are warmed by a double coat of red fibers. We were drawn to the Tunis breed because of their "threatened" status on the rare breeds list. They have now been upgraded to "watch" and are making a dramatic comeback. These are great sheep, easy to care for and a joy to have around the farm. 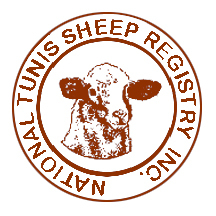 We are excited about our expanding flock of registered Tunis sheep. We aim to produce traditional style Tunis with rich, red coloring and good temperaments. See our breeding plan for more details on our mission. We (Bob and Debbi Brown) met while riding horses way back in 1972 so if possible we will always have some horses on the farm. 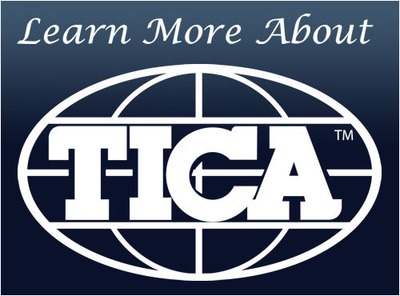 We showed dogs and cats for many years, and Debbi is an allbreed licensed TICA cat judge. We moved to the country and Unicorner Farm became a producer of a small amount of quality miniature horses each year since 1995. We added Tunis sheep in 2007 and are thoroughly enjoying them. Since then we have added a llama as a guardian. And we also raise exhibition chickens of several breeds in partnership with Ann and Charles Hoehn, and have a website devoted to our flocks at BossieBiddies.com.